Why Steve enjoys it: "Goose Island brewery has been a favorite of mine for a long time. I am an avid Bears fan so this brewery is a must visit for me anytime I make it to Chicago. I love their 312 wheat beer and was excited to hear about a Pilsner. I like a light easy drinking beer, especially in the summer weather. I am also somewhat of a history buff with beer and Pilsners are a favorite of mine: they have been around since the mid 1800s and were a go-to beer in the Bavarian region of Southern Germany (and still are to this day). Four Star Pils is unique in that it takes old world hops just like you would have found in Bavaria in the 1800s and mixes them with new world hops that you find in the complex and deep craft beers you find in stores today! 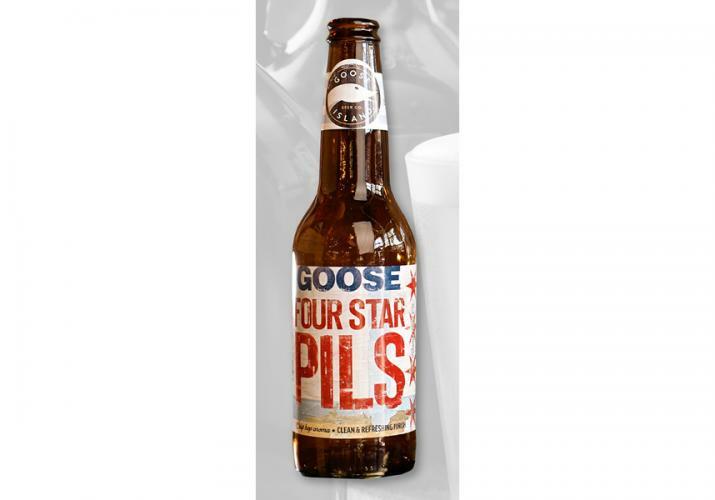 So now that we are finally into the summer and you are looking for a beer that is light and easy drinking but still full of flavor the Four Star Pilsner is a perfect fit!" Tasting Notes: This golden-hued pilsner has a light, fresh body and clean finish. Bright, refreshing carbonation mingles with German and American hops to give this lager a unique Goose Island spin.